Hi! 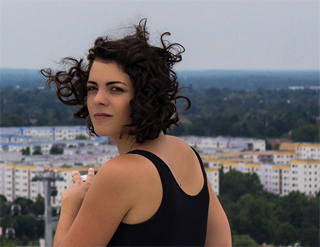 I’m Josephine, a Berlin local since 2008. I grew up in Munich, Bavaria and moved here as a teen. This means I had to learn all my local knowledge from scratch and to this day I never lost the drive to explore Berlin! A foodie through and through, finding and testing new, engaging places that serve or produce good food is what I enjoy most. I am especially interested in projects or concepts that focus on sustainably and/or locally sourced goods. Back to the roots! I love Berlin because every single district has its own unique character. This of course applies to their appearance and architecture, but also to the types of shops, cafés, restaurants and bars you will find in each one. The sheer size of Berlin guarantees you never finish exploring this city!